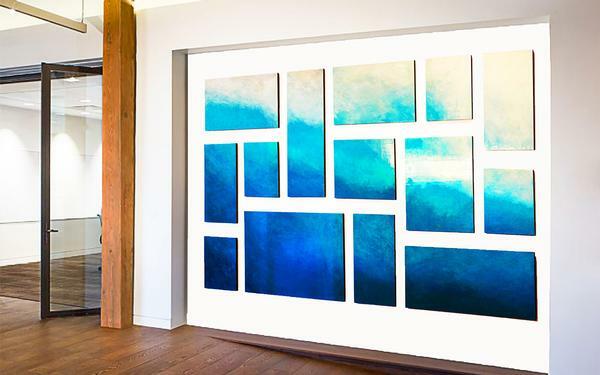 Sieze the space and make dramatic with custom modern abstract wall sculptures created predominantly with wood and featuring vibrant color and rich high-gloss lacquer. Create a custom piece of fabulous art that is the right art for your space and color preferences. Whether the space calls for something special to make a truly original artistic statement or you want that WOW factor for a very large installation, everything is something very unique and spectacular. "I strive to create bold, vibrant and truly original modern art that is timeless and truly unique. My work is quite physical — with a lot of cutting, sanding and dealing with lots of wood and large pieces. But perhaps I am most myself when covered in sawdust and paint, listening to great music, and challenging my creativity to make something unique and special."